Mercy wrote: In a paragraph describe yourself. Interests, hobbies, anything you want to say that describes you. *le sigh* You leave me no choice. I think now's a great time to introduce myself. So, a lot of people just call me Karmy, or Karma, so either of those is fine with me. Or any new ones, I'm game either way. I'm a hippie, there, I said it. Happy? No? You better be dammit, or I will find you! I may be a hippie but I'll kick your as- and there I go rambling again. I love the ocean but I live in the middle of Texas, and even though I love it here, I'll kill to see the.. sea. An avid Pixar geek, chef and I guess artist, I don't like to get into any fight's unless I have to. Oh and I'm a paranoid vegetarian, also a member of the lonely hearts club, and 19 years old. 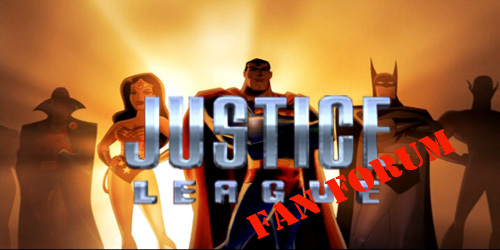 So, I'm DCfan100, I'm a strong trinitarian monotheist, fan fic writer, basketball player and eternal optimist I've been a fan of DC comics as long as my fathers ranted about the Batman he used to watch in the 60's. XD, no...at least, I don't think so. Not much, life's good, how bout you? How the hell would it be better if you had an invisible monkey o_O? You couldn't see him! He's probably adorable! Nah he'd be really ugly. Making him invisible beautifies him. Awwww you abused that poor monkey into ugliness so he went invisible! I killed the last agent you sent me, bring em on! My name is Jovial Bondservant, I adopted the name a while ago, but Ihave been known as YoungTitan213. Aside from drawing and sketching, I quite enjoy playing piano, guitar/bass guitar and video editing, creating amvs. I have already made several Young Justice videos and hope to make more as new episodes air. You may call me Jovie. Young! Where have you been?! Thought you were kidnapped by ninjas last I heard..
Ha-ha, I am honored that you remember me!!! It is cool to see you, Fishing4Karma and Rianna Lauren again on this site. Holy crap :O! Young!!! How have you been!? Yeah... Ria made it so I just wanted to follow o-o... Though I didn't join her Justice League forum. And of course I remember you, where have you been >_<? Well our church gave us a challenge to get rid of one thing that, in our lives, could replace God and we were told to give it up and see if we could live without it for a week. I gave up the internet. I guess I just kind of forgot to come back is all. Just a guess cause my ex was catholic and had to give up cursing or chocolate for a week... Or something.. Forgot what it was. Coulda been me. But yeah my catholic friends give things up for a week or what not.